Good health and medical care in childhood and adolescence are essential for the ability to neutralize health threats later in life and to extend longevity. Thus, pediatric diseases, diagnostics and treatment justifiably draw ever increasing attention. 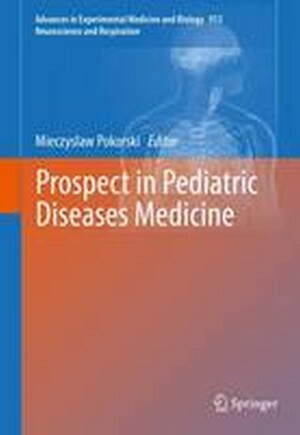 The book highlights recent advances and innovations in gastroesophageal ailments, often missed in children, respiratory infections, and in genetically determined immune malfunctions such as familial hemophagocytic lymphohistiocytosis, known as a cytokine storm, renal vasculitis, or thyroid and growth anomalies. Functional genomics has become part of genetic counseling aimed at early diagnosis and treatment of chromosomal aberrations underlying congenital malformations. Deeper insights into childhood morbidity require identification of the pathways and biological processes most affected which could become drug targets. This book is dedicated to practical aspects of multifactorial disease processes of young age. It will be of interest to pediatricians, family doctors, and clinical researchers. Chapter 1 Application of array comparative genomic hybridization in newborns with multiple congenital anomalies.- Chapter 2 Cytogenomic evaluation of children with congenital anomalies: critical implications for diagnostic testing and genetic counseling. Chapter 3 Impairment of immune function in children with familial hemophagocytic lymphohistiocytosis.- Chapter 4 Thyroid function in obese children and adolescents and its association with anthropometric and metabolic parameters.- Chapter 5 Relationship between 25(OH)D and IgF-I in children and adolescents with growth hormone deficiency.- Chapter 6 Viral infections in children in the 2014/2015 epidemic season in Poland.- Chapter 7 Gastroesophageal reflux disease in children with interstitial lung disease.- Chapter 8 Treatment outcomes in children with Henoch-Schonlein nephritis. - Chapter 9 Respiratory function and language abilities of profoundly deaf adolescents with and without cochlear implants.- Chapter 10 High-frequency jet ventilation against small-volume conventional mechanical ventilation in the rabbit models of neonatal acute lung injury.